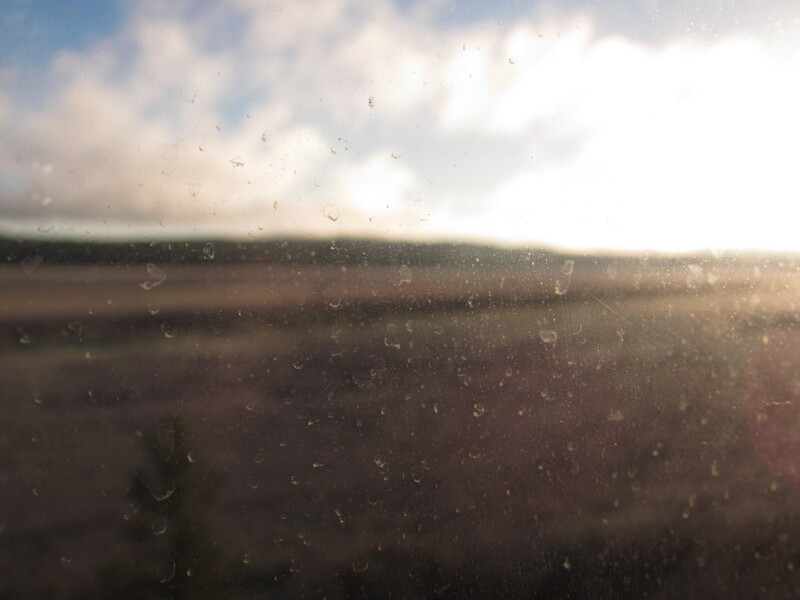 I’m a lifelong fan of train travel. 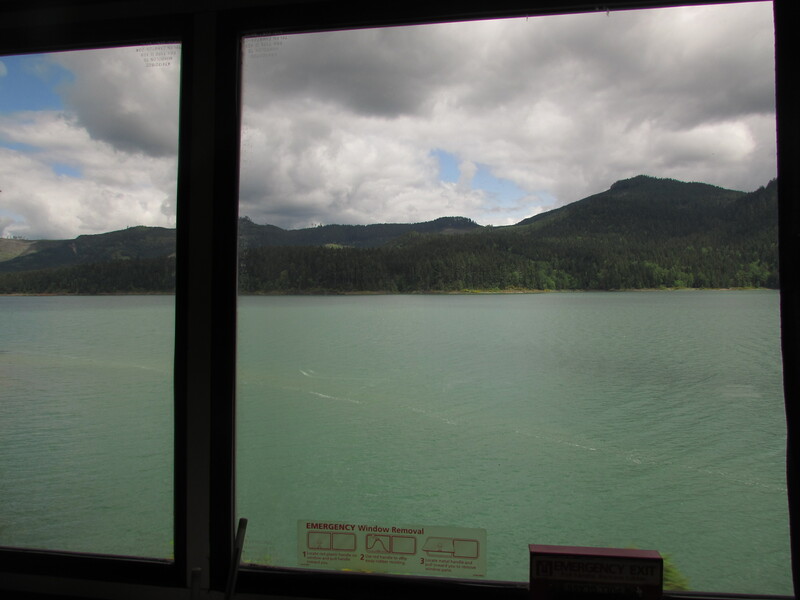 I love most things about it – the steady pace (ideal for relaxing and sleeping), passing through small towns that a freeway driver would miss, and looking out the windows for hours on end. 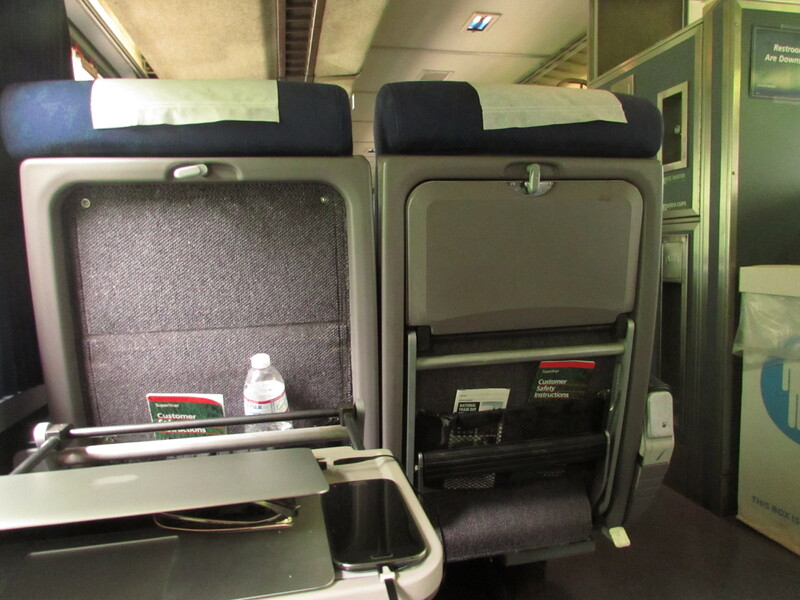 I was especially excited to take the Amtrak Coast Starlight from Oakland all the way up to Portland. 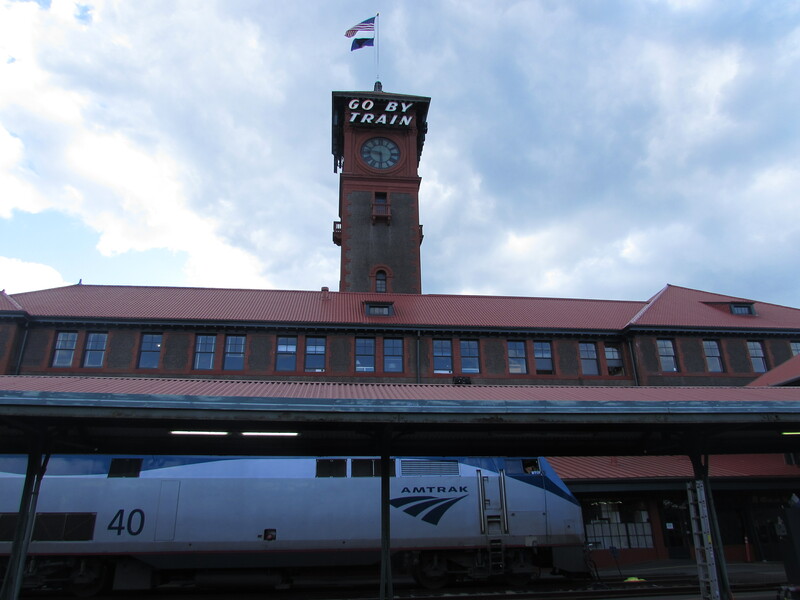 The Amtrak stations, the visual merchandise (see these posters) and even the slogan “Go By Train” all have an old-worldy feel to them, as if travelling by train in America is a way to reconnect with some kind of Golden Age. 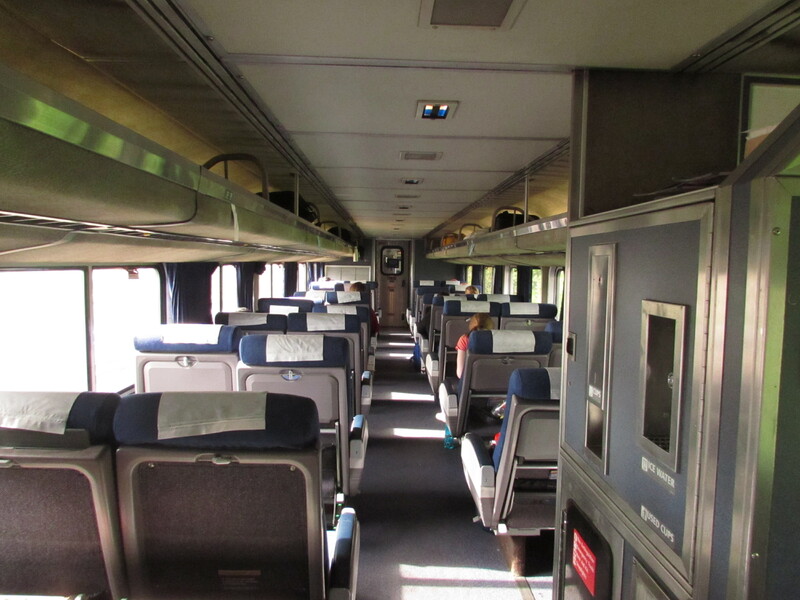 I like the idea that long-distance train travel is genteel and kind of a novelty in an age of cheap flights. The trip took 20 hours. It was meant to take 18 but I had heard rumours of the “Starlate” being delayed so I wasn’t too surprised. We hit a tree, apparently (“tree strike”) and some drunk and rowdy passengers also had to be removed from the train. It did seem like there were a few intoxicated and shady characters riding with us but for the most part all my fellow passengers were very pleasant. 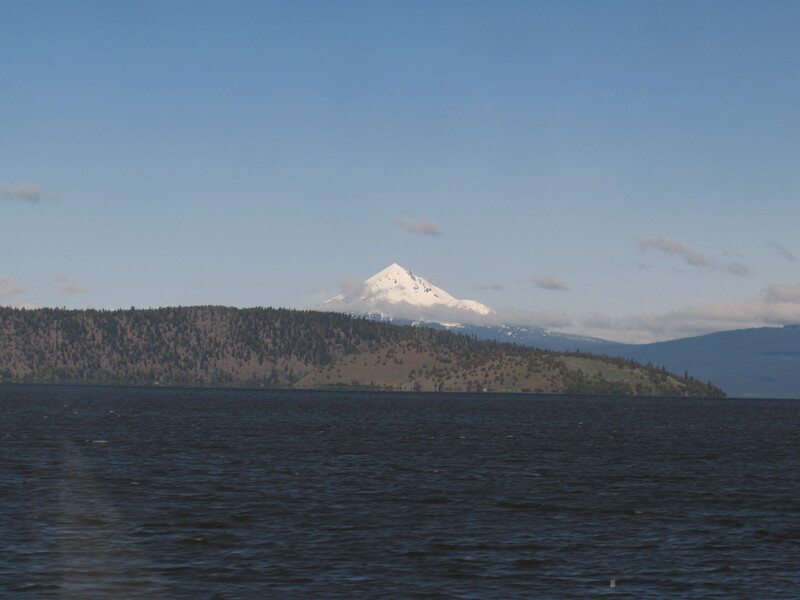 I had breakfast and lunch in the dining car and had some great conversations with a Canadian couple, an elderly lady from Argentina, a grandmother from upstate New York and a Bostonian who was enjoying his new city of Portland. The economy class seats are pretty comfortable and roomy. I was certainly able to do get a good snooze. I wish the wi-fi was actually functional though. 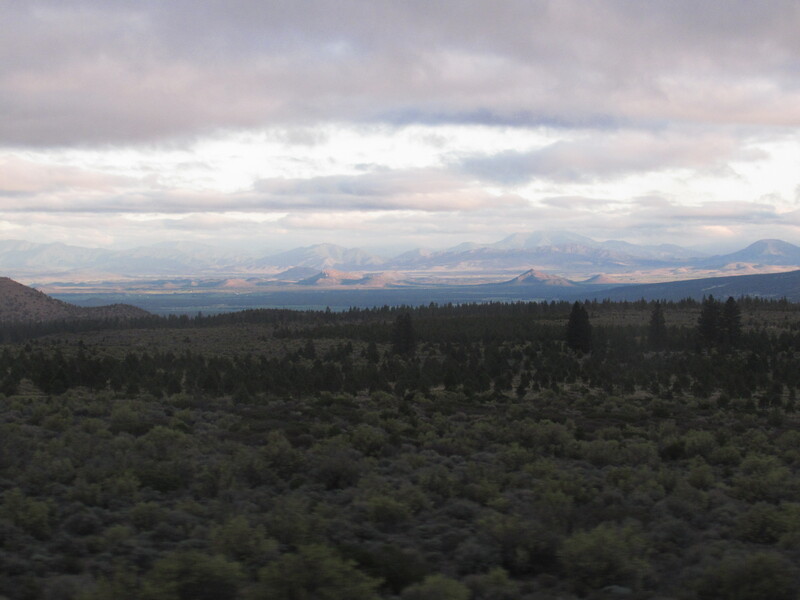 But my favourite thing about the Coast Starlight was the view. 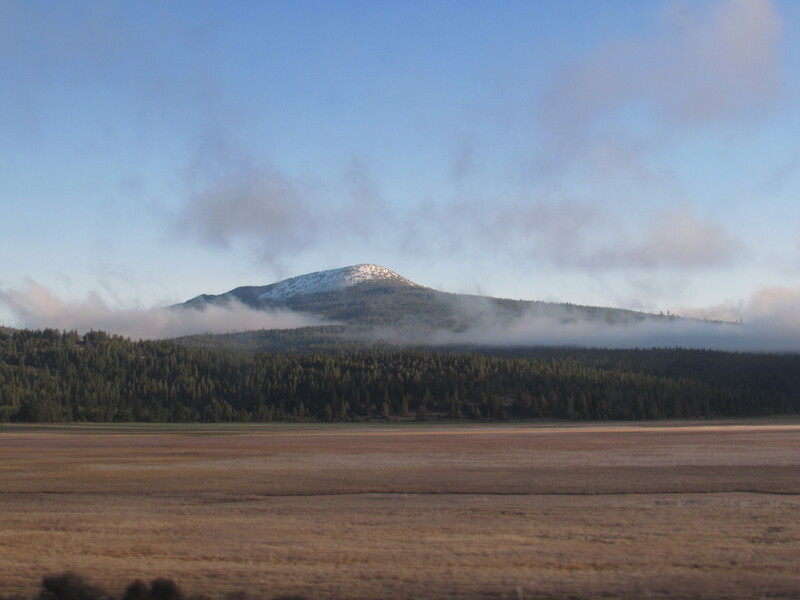 I woke up soon after sunrise to landscapes that quite literally took my breath away (well, for a few seconds). 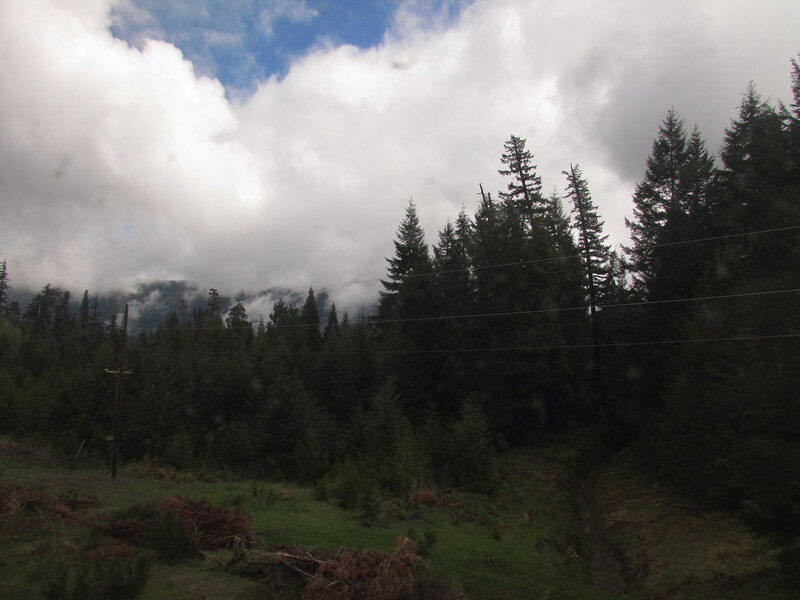 I have two more train trips left on this journey – a short one on the Cascades (also Amtrak) from Seattle to Vancouver, and then a much more substantial 24 hour+ trip from Vancouver to Saskatoon on The Canadian (from Via Rail). I am practically counting down the days! Posted on May 11, 2014 by lherobson. 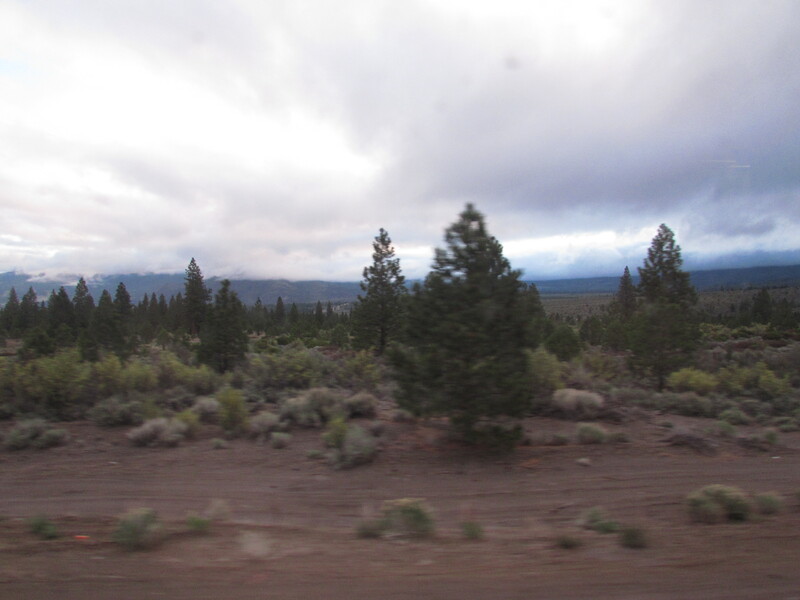 This entry was posted in Travel, Uncategorized, Writing and tagged amtrak, landscapes, photos, train, travel, writing. Bookmark the permalink.